Living in Colorado, I travel and shoot primarily in the American West and Southwest, which includes my neighbor to the south, New Mexico. I think New Mexico is fairly underrated, from a photography perspective, which is fine with me, because it means I don't have to deal with the crowds here that I do in Colorado, or Utah, for instance. The sites and terrain are incredibly varied, and include mountains, deserts, caves, and ancient cultural and historical sites. I participated in an art show in Albuquerque, New Mexico, on one of the weekends in October, 2017 that coincided with the massive Albuquerque International Balloon Festival, which is touted as the most photographed event on the planet. The gallery from which I was showing my work was only a couple miles from the take-off site, but the scale of this event, along with the timing of the show and the launch times of the balloons made it almost impossible to shoot the event from where I'd hoped to. But I did manage to find an accessible location to get this shot, which gives some idea of the number of balloons that launch each day of this unbelievable event. Available in the following sizes (Rectangle B): 12x8, 18x12, 24x16, 30x20, 36x24, 45x30, 60x40. I participated in an art show in Albuquerque, New Mexico, on one of the weekends in October, 2017 that coincided with the massive Albuquerque International Balloon Festival, which is touted as the most photographed event on the planet. The gallery from which I was showing my work was only a couple miles from the take-off site, but the scale of this event, along with the timing of the show and the launch times of the balloons made it almost impossible to shoot the event from where I'd hoped to. But I did manage to find an accessible location to get this shot, which gives some idea of the number of balloons that launch each day of this unbelievable event. Available in the following sizes (Rectangle B): 12x8, 18x12, 24x16, 30x20, 36x24, 45x30, 60x40, 72x48. White Sands National Monument, in southern New Mexico, is a fun place to visit. It's kind of in the middle of nowhere, so there aren't usually many visitors. The sand, itself, is made of eroded gypsum crystals. These tiny crystals would, under normal circumstances, be dissolved by rainwater and carried out to the sea, but the Tularosa Basin, where White Sands is located, has no outlet to the sea, so the dunes remain. Available in the following sizes (Rectangle B): 12x8, 18x12, 24x16, 30x20, 36x24, 45x30, 60x40. 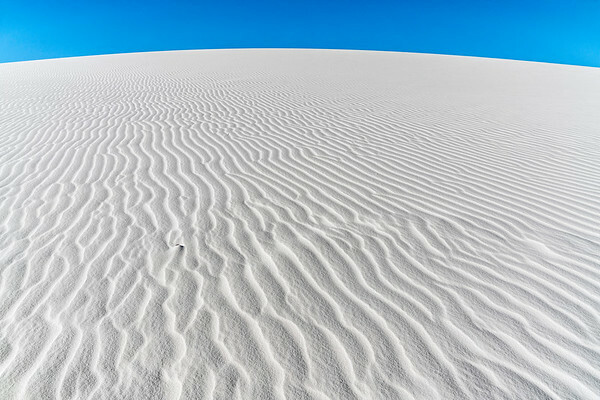 White Sands National Monument, in southern New Mexico, is a fun place to visit. It's kind of in the middle of nowhere, so there aren't usually many visitors. The sand, itself, is made of eroded gypsum crystals. These tiny crystals would, under normal circumstances, be dissolved by rainwater and carried out to the sea, but the Tularosa Basin, where White Sands is located, has no outlet to the sea, so the dunes remain. Available in the following sizes (Panorama B): 30x12, 40x16, 50x20, 50x20 Triptych (3 x 17x20), 60x24, 60x24 Triptych (3 x 20x24), 75x30, 75x30 Triptych (3 x 25x30), 90x36, 90x36 Triptych (3 x 30x36), 105x42 Triptych (3 x 35x42). White Sands National Monument, in southern New Mexico, is a fun place to visit. It's kind of in the middle of nowhere, so there aren't usually many visitors. The sand, itself, is made of eroded gypsum crystals. These tiny crystals would, under normal circumstances, be dissolved by rainwater and carried out to the sea, but the Tularosa Basin, where White Sands is located, has no outlet to the sea, so the dunes remain. Available in the following sizes (Panorama A): 20x10, 24x12, 32x16, 40x20, 48x24, 48x24 Triptych (3 x 16x24), 60x30, 60x30 Triptych (3 x 20x30), 72x36, 72x36 Triptych (3 x 24x36). White Sands National Monument, in southern New Mexico, is a fun place to visit. It's kind of in the middle of nowhere, so there aren't usually many visitors. The sand, itself, is made of eroded gypsum crystals. These tiny crystals would, under normal circumstances, be dissolved by rainwater and carried out to the sea, but the Tularosa Basin, where White Sands is located, has no outlet to the sea, so the dunes remain. Available in the following sizes (Rectangle B): 12x8, 18x12, 24x16, 30x20, 36x24, 45x30, 60x40, 72x48. Carlsbad Caverns National Park, in southeastern New Mexico, is one of the most accessible cave systems in the world. Although over 120 miles of caves have been mapped in the region, only a small portion of them are open to the public. This feature of the caves is called the “Painted Grotto.” Available in the following sizes (Rectangle B): 12x8, 18x12, 24x16, 30x20, 36x24, 45x30. Carlsbad Caverns National Park, in southeastern New Mexico, is one of the most accessible cave systems in the world. Although over 120 miles of caves have been mapped in the region, only a small portion of them are open to the public. This famous structure is called, fittingly, the “Rock of Ages.” Available in the following sizes (Rectangle B): 8x12, 12x18, 16x24, 20x30, 24x36, 30x45. Carlsbad Caverns National Park, in southeastern New Mexico, is one of the most accessible cave systems in the world. Although over 120 miles of caves have been mapped in the region, only a small portion of them are open to the public. This shot is of “The Big Room,” which measures almost 4,000 feet long, 625 feet wide, and 255 feet high at its tallest point. Available in the following sizes (Panorama A): 20x10, 24x12, 32x16, 40x20, 48x24, 48x24 Triptych (3 x 16x24), 60x30, 60x30 Triptych (3 x 20x30), 72x36, 72x36 Triptych (3 x 24x36). Carlsbad Caverns National Park, in southeastern New Mexico, is one of the most accessible cave systems in the world. Although over 120 miles of caves have been mapped in the region, only a small portion of them are open to the public. Available in the following sizes (Rectangle B): 12x8, 18x12, 24x16, 30x20, 36x24, 45x30. New Mexico's Bandelier National Monument is probably best-known for the Ancestral Pueloan structures built between 1150 and 1600 AD, and while I enjoyed photographing these ruins, none of my photos ended up having the bright, vibrant quality that I am usually chasing. Fortunately, the National Monument had plenty of other stuff to photograph, as well, such as this bee collecting pollen. Available in the following sizes (Rectangle A): 10x8, 14x11, 20x16, 24x20, 30x24. New Mexico's Bandelier National Monument is probably best-known for the Ancestral Pueloan structures built between 1150 and 1600 AD, and while I enjoyed photographing these ruins, none of my photos ended up having the bright, vibrant quality that I am usually chasing. Fortunately, the National Monument had plenty of other stuff to photograph, as well, such as this mariposa lily. Available in the following sizes (Rectangle A): 10x8, 14x11, 20x16, 24x20, 30x24, 40x30. New Mexico's Bandelier National Monument is probably best-known for the Ancestral Pueloan structures built between 1150 and 1600 AD, and while I enjoyed photographing these ruins, none of my photos ended up having the bright, vibrant quality that I am usually chasing. Fortunately, the National Monument had plenty of other stuff to photograph, as well, such as this cactus. Available in the following sizes (Rectangle B): 12x8, 18x12, 24x16, 30x20, 36x24, 45x30. New Mexico's Bandelier National Monument is probably best-known for the Ancestral Pueloan structures built between 1150 and 1600 AD, and while I enjoyed photographing these ruins, none of my photos ended up having the bright, vibrant quality that I am usually chasing. Fortunately, the National Monument had plenty of other stuff to photograph, as well, such as this soldier beetle. Available in the following sizes (Rectangle A): 10x8, 14x11, 20x16, 24x20. Built between 1772 and 1816, San Francisco de Asis Mission Church in a great example of Colonial New Mexico architecture. It was designated a National Historic Landmark in 1970. Available in the following sizes (Rectangle B): 12x8, 18x12, 24x16, 30x20, 36x24, 45x30. New Mexico's Bandelier National Monument is probably best-known for the Ancestral Pueloan structures built between 1150 and 1600 AD, and while I enjoyed photographing these ruins, none of my photos ended up having the bright, vibrant quality that I am usually chasing. 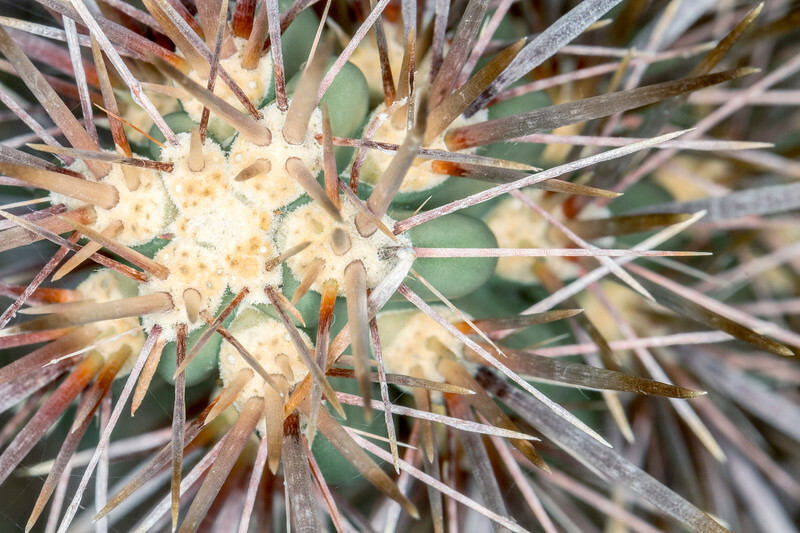 Fortunately, the National Monument had plenty of other stuff to photograph, as well, such as this cactus. Available in the following sizes (Rectangle B): 12x8, 18x12, 24x16, 30x20, 36x24, 45x30.